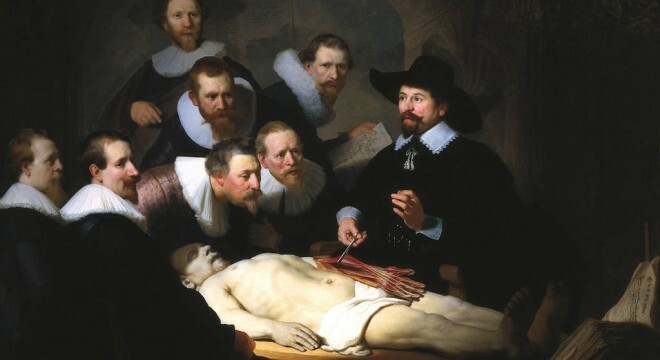 In 1632, Rembrandt created The Anatomy Lesson of Dr. Nicolaes Tulp. 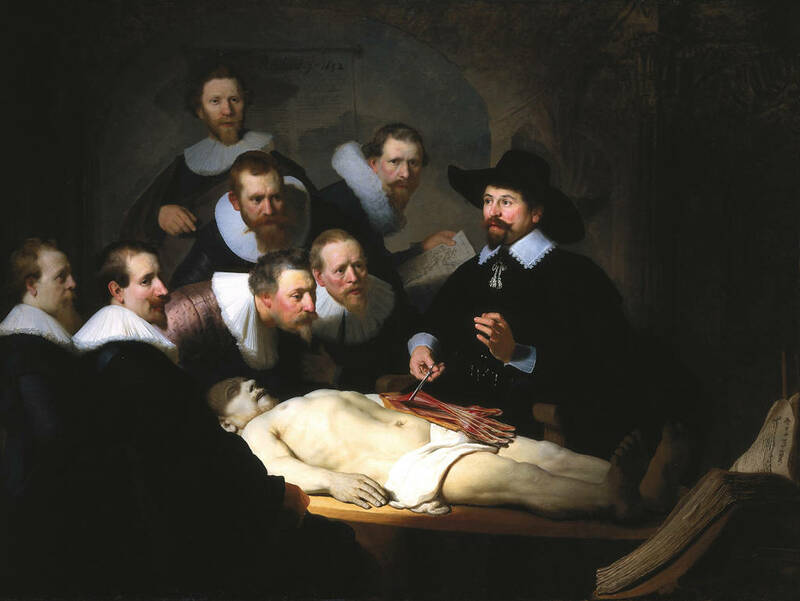 In this creation, Rembrandt captured Dr. Tulp in the middle of explaining to fellow Dr.s and patrons the musculature of the arm. Some say this may be the first time Rembrandt ever signed a painting with his surname, which can be seen in the upper left hand corner. His signature had previously just been RHL (Rembrandt Harmenszoon of Leiden). It is interesting to note that the official City Anatomist of the Amsterdam Guild of Surgeons permitted only one public dissection a year. This body had to be the body of an executed criminal. So, experts have thus dated this event to be January 16, 1632, a day designated for this to be undertaken. With this information, historians are also able to identify the corpse to that of the criminal Aris Kindt (aka. Adriaan Adriaanszoon), a man convicted of armed robbery, sentenced to death by hanging. It’s fascinating to know some little facts about this painting, and the authenticity of the scene. For instance, typically a Preparator would be involved in the dissection, who would prepare the cadaver for the dissection. This person is not present in the painting. Also, because Dr. Tulp was the Official City Anatomist, he wouldn’t be involved in menial – and bloody – tasks like dissection. This is indicated by the fact that there are no cutting instruments shown in the image, and also by the presence of the giant medical book in the lower right of the painting. Rembrant himself is a very interesting man. 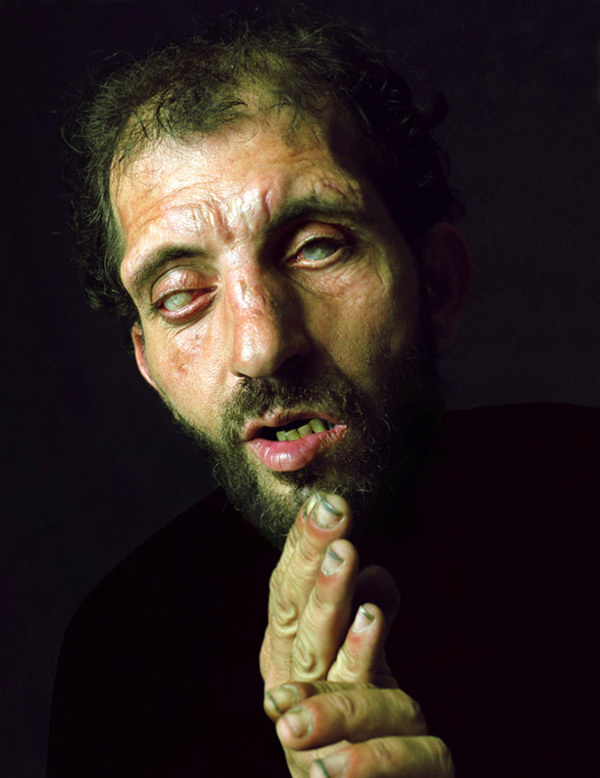 He rose from very humble beginnings to surpass most others in portraiture painting, only to renounce fame in order to liberate himself from moneygrubbing. He was a sorrow filled man, especially in his later years. Three of his children died in infancy, and his wife wasted away while Dutch musketeers were haggling over The Night Watch, another of Rembrants works. He spent the last years of his life bankrupt in the Amsterdam ghetto, tended by his loyal housekeeper. But, historians say he died full of peace, knowing that he was his own man. Rembrandt was a master of light and dark. The luminosity of his images were like no other before, and like very few since. Truly a master. 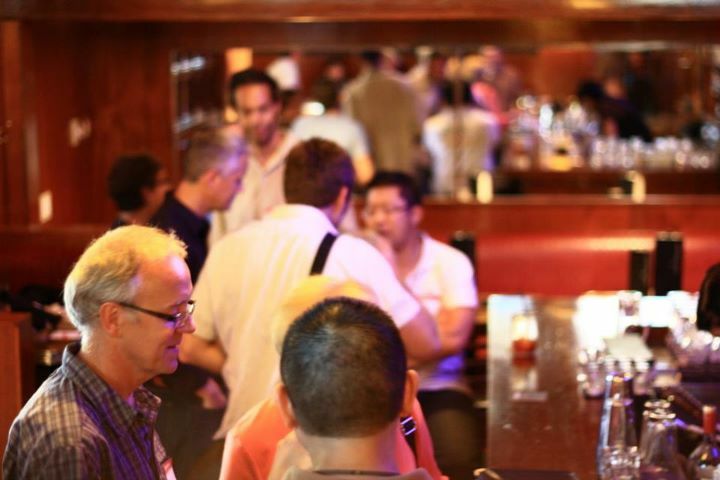 I love the rosy red tinge to the faces of all those present, which might be accounted to it being mid January. I find it interesting the clothing of all of those present. What I like to illuminate is what’s not illuminated in the painting, the background. It shows us how much Rembrandt focused on shading, which also amplified the magnificence of the subjects. The painting is located in Mauritshuis museum in The Hague, the Netherlands.